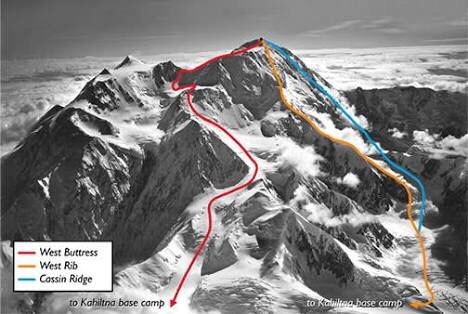 Here is a brief run down of our plan during the approach section of the sea to summit. This section will get us from the road end to Denali Base camp. Days 4-6 will be spent travelling from Petersville along a snow mobile track to the foot of the Kahiltna Glacier. From there we go off the track and do a creek crossing to reach the glacier. Days 7-10 will be spent travelling up the glacier to get to base camp. For this section we will be roped up and navigating through crevasse territory. 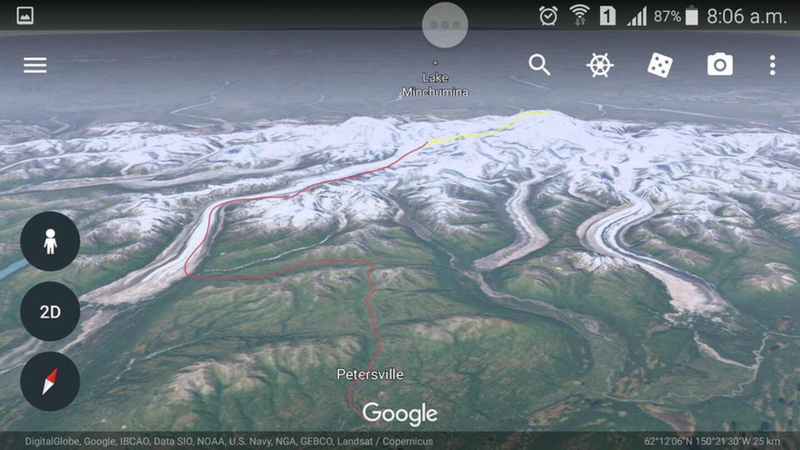 The red line is the Approach section and the yellow is the climb. Denali…I looked up Sea2Summit7 & was inspired!